Our cycling holiday starts in Medellin on Saturday. We appreciate that people join redspokes tours from all over the world; no matter what time you arrive at the airport on the tour start date you and your luggage will be transferred to the joining hotel. Please bear in mind that if you arrive before midday you may have to wait for your room to be made available. The tour ends in Bogotá 14 days later, on a Friday. If you decide to arrive early or stay on after the tour, redspokes can assist you in booking your accommodation and airport transfers at additional cost. If you depart on the last day of the tour your airport transfer is included in the tour price. If you are flying from the Europe, you should look to get a "multi-destination" flight that arrives into Medellin and leaves from Bogota. Most European flights leave Europe in the morning and arrive in Medellin in the evening. If flying from the UK, AA and Air France appear to be the favoured airlines by our customers. You must ensure that are in possession of a full passport with at least 6 months validity from date of your return. You will also need sufficient blank pages for your visa stamps. Citizens from the UK and most other European countries along with Australian, New Zealand, USA and Canadian nationals do not require a visa and will be granted a 90-day entry permit on arrival. However visa requirements are liable to change at short notice, travellers are advised to check their entry requirements with their embassy or consulate. There will be rest stops every 20-35 km depending on the terrain; you will have access to your luggage, and the opportunity to have drinks/snacks. Our leaders carry a good tool kit and will help to fix any bike problems. 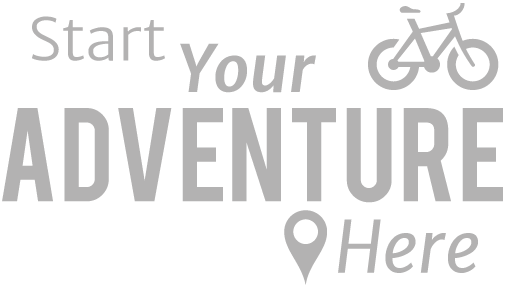 However, we cannot guarantee that to be equipped for all repairs, so you must ensure that your bike is in good working order before the tour. If in doubt, have it fully serviced by a bike shop before you travel. In particular we suggest looking and adjusting all wheel spokes, greasing all your bearings, checking your brakes/gears cable, tighten all nuts and bolts, check chain, quick release clamps, tires and put in new inner tubes and check wheel rims are not worn. In addition make sure the bike is well serviced and ride it with as much care and attention as possible. 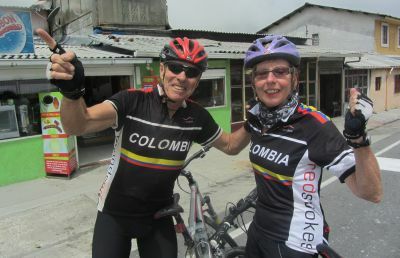 The Colombia tour is suitable for mountain bike or cyclo cross bicycles. Please ensure that your bike is in good working order before you leave for the tour. If you are not the most mechanically minded we suggest that you get your bike looked at by a professional bike mechanic. In particular we would suggest looking and adjusting all wheel spokes, greasing all your bearings, checking your brakes/gears cable, tighten all nuts and bolts, check chain, quick release clamps, tires and put in new inner tubes and check wheel rims are not worn. In addition make sure the bike is well serviced and ride it with as much care and attention as possible. In terms of clothing this is clearly up to you and we can only supply a rough guide as to what to take. This guide is entirely flexible and should be tailored to your specific needs: sunglasses, lightweight trekking boots/shoes, cycling footwear, lightweight socks (3 pairs), underwear (4 pairs) lightweight trekking shorts, padded cycling shorts (2 pairs), shorts, t-shirts (2), lightweight, long-sleeved shirt, fleece jacket/pullover, biking jacket, waterproof (breathable fabric), fingerless biking gloves, headlamp & spare bulbs/batteries, spare laces, sunglasses, toiletries, basic first aid kit, towel (small), small padlock, 2 large plastic bags (for keeping items dry in your bag), sun cream, lip balm. If you have any questions about this list please feel free to contact us. A detailed list of what to bring will be provided on booking. If you are bringing your own bike you must bring spare parts specific to it. First aid: on all our tours the guides carry a medical kit. However you are recommend to bring your own first aid supplies which should include: antiseptic cream, throat lozenges, a cold medication, diarrhea treatment, pain killers, plasters, insect repellent and re-hydration salts. All accommodation will be in hotels or guest houses. We choose accommodation on the basis of comfort rather than luxury. Our prices are based on sharing a twin room; single rooms are available at extra cost. Most of the food is provided on your 13 day tour. We provide 12 breakfasts, 9 lunches and 7 evening meals (see trip notes for details) along with snacks and mineral water during cycling days. All transportation and local guides within Colombia are included. International flights are not included in the tour costs. Spending money depends on your taste for souvenirs, drinks etc. We estimate that £250 will be more than enough to cover the 13 day tour. You can expect to pay around £3 - £10 for a 3 course meal in a restaurant. 75% of the food is included in the trip (see itinerary for details). The Colombian diet is meat based but we will cater for vegetarians. Breakfast is considered an important meal in Colombia and includes fruit juice, coffee or hot chocolate, fruit, eggs and bread. In rural areas Lunch (served between 12 and 4pm is typically the main meal of the day). A traditional Colombian main meal starts with a soup, followed by a main dish, a drink and sometimes a dessert which is generally very sweet. The evening meal is usually lighter. In the big cities the main meal often will be served around 7pm or 8pm. Traditional Colombian dishes include Ajiaco: Chicken soup as well as chicken this dish includes 2 or 3 kinds of potatoes, corn, sour cream, capers, avocado and guasca. Arepa: A basic side to any Colombian meal, arepa is a bread made from cornmeal. Bandeja Paisa: A mixed platter of grilled steak, fried pork rind, chorizo sausages, on a bed of rice and red beans, topped with a fried egg and a side of sliced avocado and sweet banana (chips). Arguably the national dish of Colombia. There is an abundance of fresh fruit on offer in Colombia. "It was a privilege and pleasure to tour Colombia's coffee growing district with redspokes. This is a verdant, alluring part of the country, with bright colours and fertile earth, bursting..."